SteroidConfirm™, the accurate and affordable diagnostic anabolic steroids test, utilizes the most sophisticated, sensitive technology available for convenient professional use. SteroidConfirm™ enables you to test individuals who are suspected of abusing steroids. Simply mail a urine sample to our laboratory using the prepaid overnight shipping envelope. 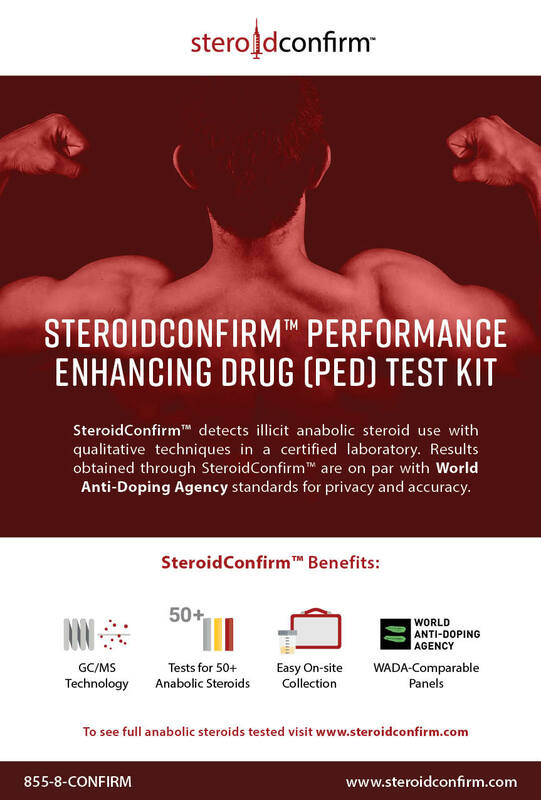 sophisticated technology available for the steroid testing community, SteroidConfirm™ can accurately quantify substances well below the cut-off levels.